Rebel Legion :: View topic - Base CO Nomination 2012 Closed - Congrats to Nimsil! Base CO Nomination 2012 Closed - Congrats to Nimsil! Posted: Mon Sep 10, 2012 2:53 am Post subject: Base CO Nomination 2012 Closed - Congrats to Nimsil! 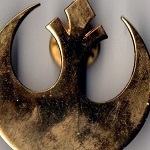 Rebel Legion election nominations begin at 12:01am EST Monday Sept 10th. Nominations will conclude Sunday September 16th 11:59pm EST. Q&A Begins Monday the 17th of September (12:10am EST). The Questions phase ends after 7 days (Sunday 11:59pm EST), while answers may continue for two more days (Closing on Tuesday, 11:59pm EST). Voting begins Monday the 24th of September (12:01am EST). The Base/Outpost CO nominating and election process must take place in this base members only forum at rebellegion.com/forum, and not at individual base/outpost off site forums. A BCO or OCO must have completed 1 year of Legion membership, at the time of nomination, in order to run for this office and must be a current active member of the legion. The CO nominee must also reside in the geographic boundaries of the base. Nominations do not need to be seconded, unless one chooses to nominate themselves. No second is required for standing officers. Nominations may only be made by current Active Status Base/Outpost members. If no nominations are made for the office of Base/Outpost CO by 12:00am EST Monday the 17th of September, then the officer holding this position will remain in office. If a standing Outpost or Base Commander does not seek another term and no nominations are made for that unit, the XO must accept or decline being promoted to CO. I would like to serve the base for another year, if you guys will have me! Congratulations to Brent - you will continue for another year as Base CO. Please announce your XO appointment here. Brent- who will be our BXO?